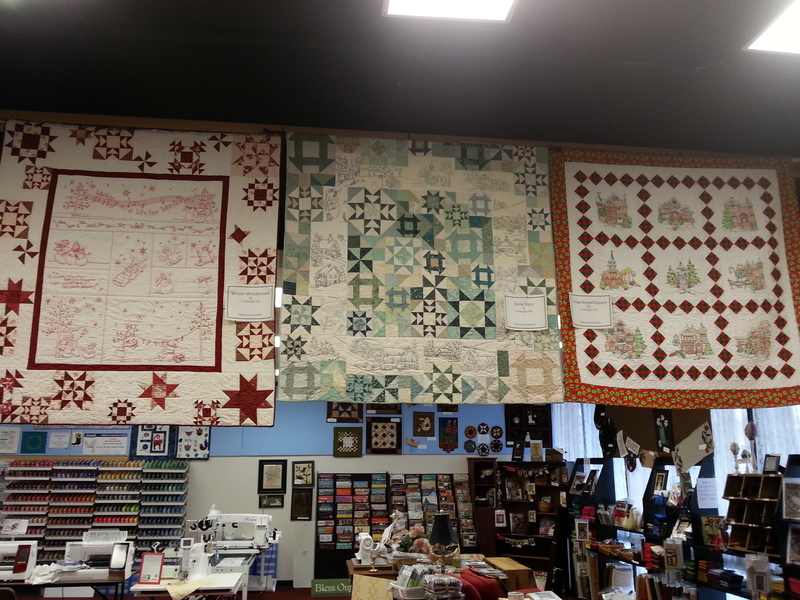 After the closure last year of the Poulbso quilt shop Heirloom Quilts, us locals felt a void. Fortunately, along came Beatrice Marx who opened a beautiful new store, The Quilt Shoppe, is located at 19020 Front Street in a delightful old house. 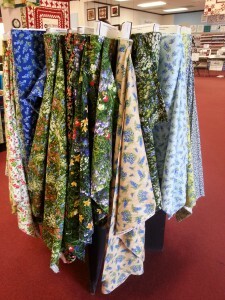 Beatrice opened the store on 28th November, 2014. 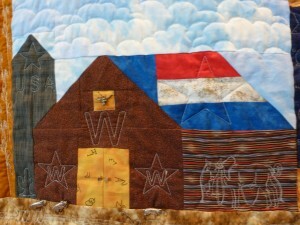 She originally hails from Normandy and came to the States 17 years ago. 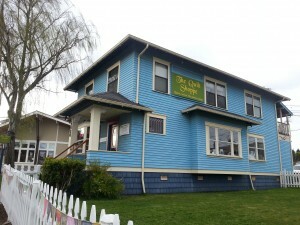 She lived in Seattle and then three years ago, moved to Poulsbo. 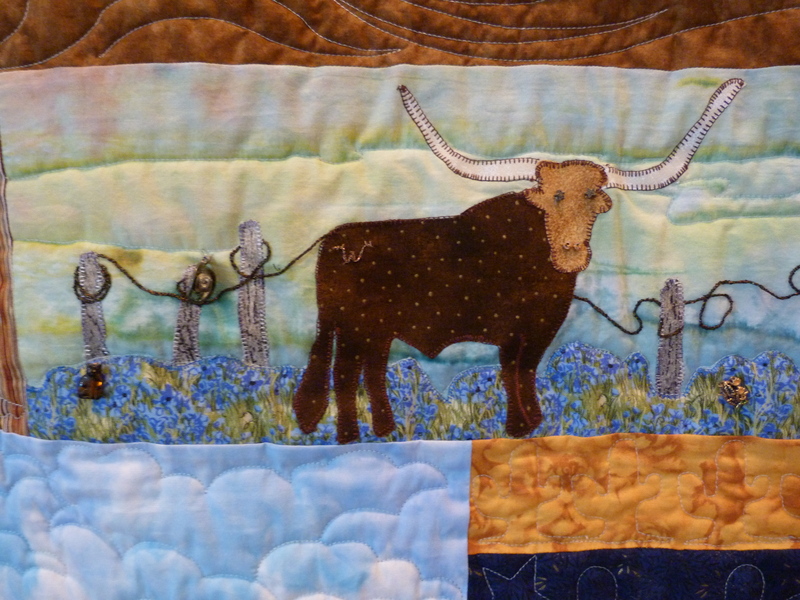 Beatrice sewed from an early age, making her clothing and doing embroidery. 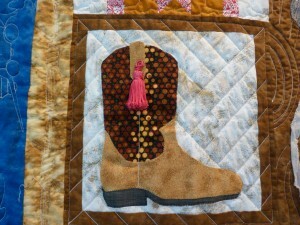 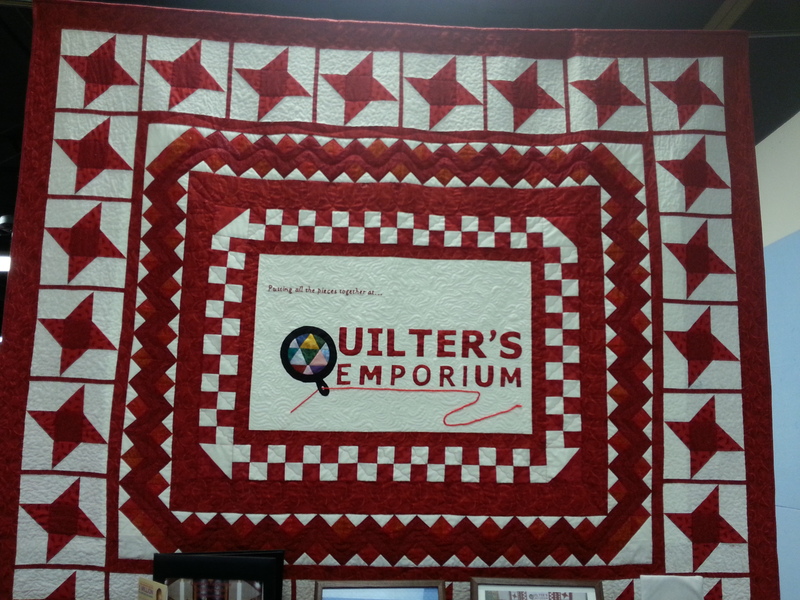 A quilting friend who had visited the USA persuaded her to try quilting and she became hooked immediately. Beatrice has a business background and is excited to be applying this to her quilting passion. The store is warm and inviting and has several rooms to explore. 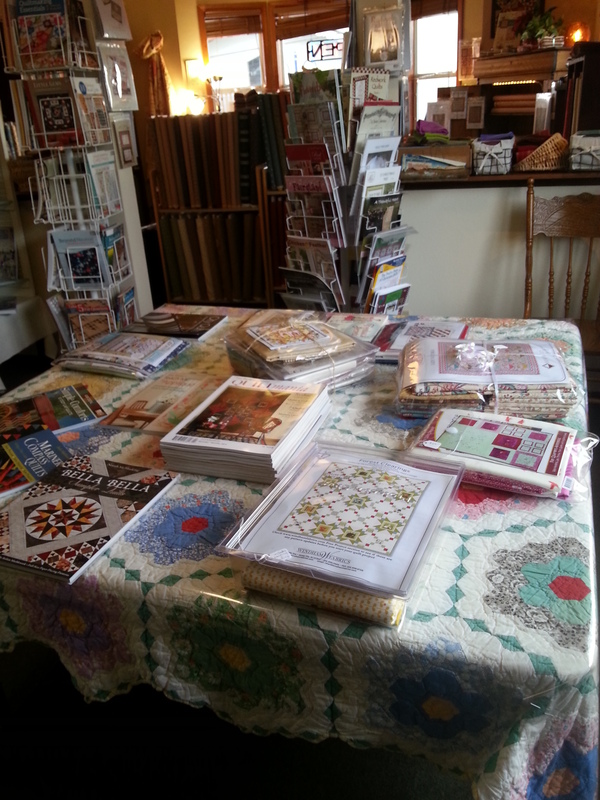 There is an area to sit at a table and browse the books and patterns and of course plenty of bolts of fabric. 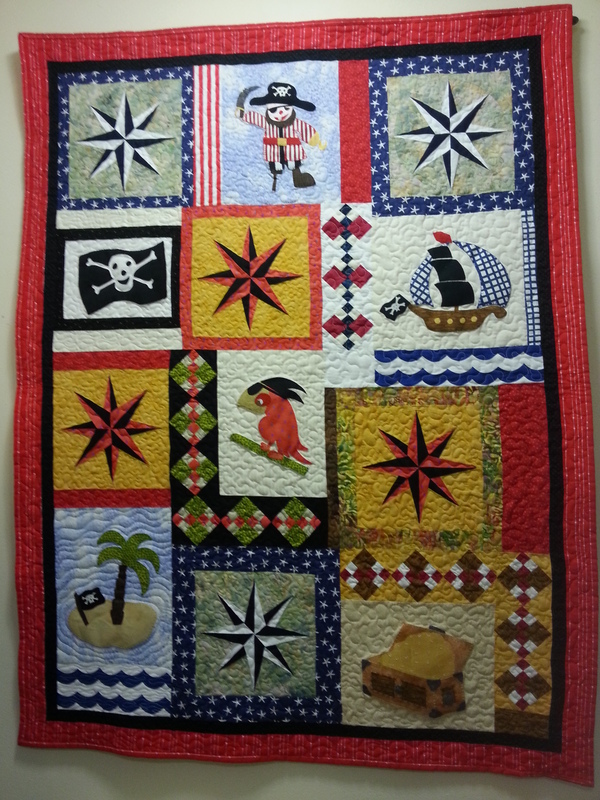 In a room tucked away in the back, there is a great array of solids and this cheerful pirate quilt designed by Beatrice, Ahoy Pirates!, caught my attention. 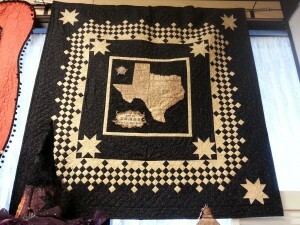 The pattern for this and several others designed by Beatrice are available at the store. 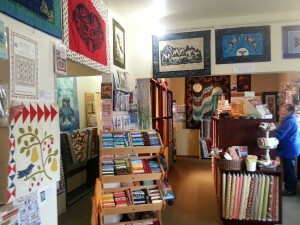 If you are in Poulsbo, do check out this store and Beatrice will be happy to welcome you. 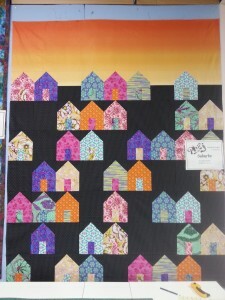 I’ve just moved house to my own 1,250 square feet townhouse and I love it. The move required serious sorting and downsizing of my many possessions. I have a lovely room for my studio, but no spare bed on which to store all my quilts. 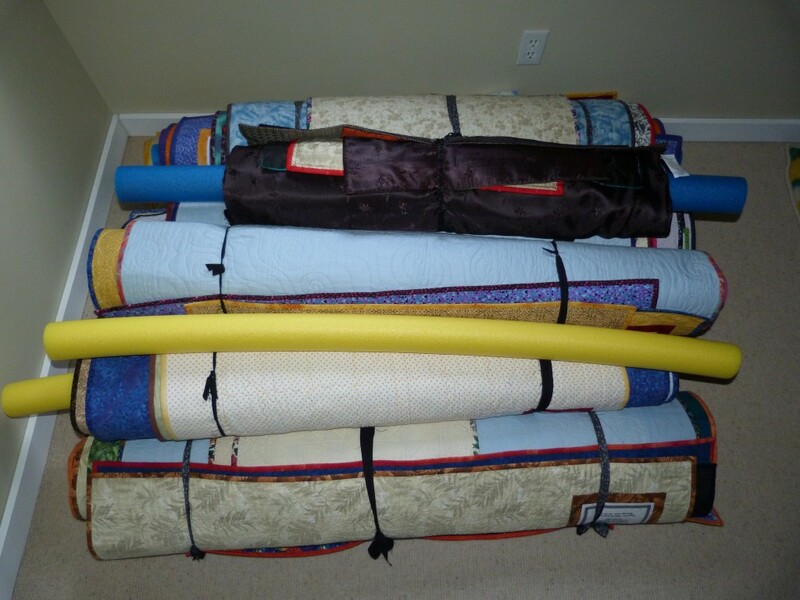 The solution has been rolling the quilts on styrofoam swim noodles and storing them in a closet. 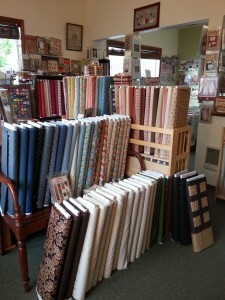 This also made them easy to transport from my old house. Here they are ready for the move with one left over noodle that I used for quilts that were hanging on the wall. I like this system of organization as I can group the quilts into families such as Bargello block quilts, template-free Kaleidoscope quilts, Gateway to Mongolia and so on. 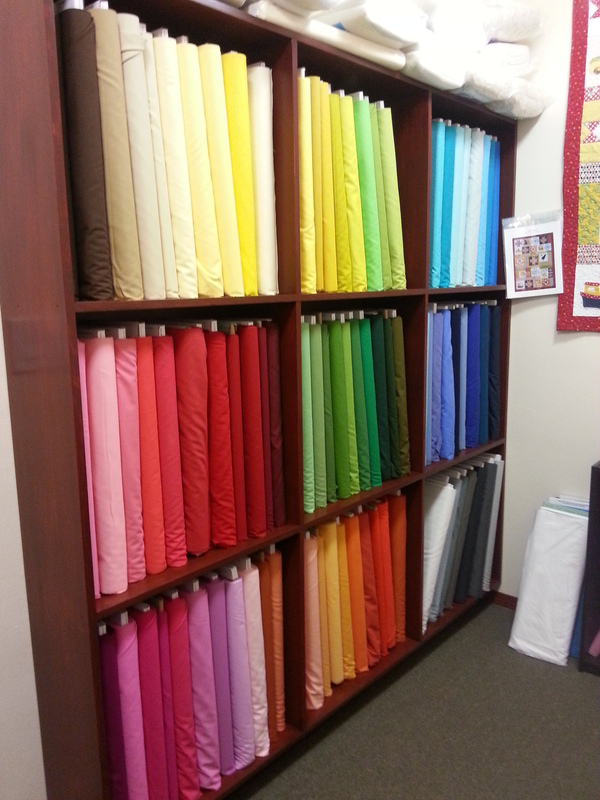 They are easy for me to access and pack for my teaching trips. 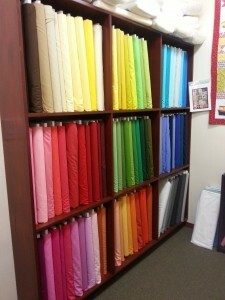 I now have them stored like this in a large closet in my studio and am about to pull several out as I prepare for a week of teaching at the AQS QuiltWeek in Paducah, KY.
One of the many things that I enjoy about traveling and teaching, is staying in the homes of kind quilters who share their quilting treasures with me and are inspiring. 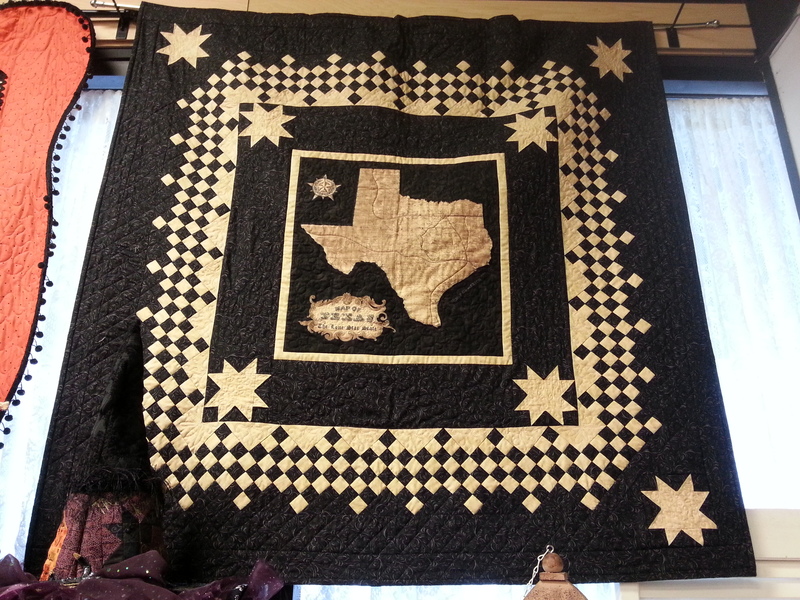 On my trip to Texas last month, I stayed with Deborah Woolley at her lovely lake side home in Cypress on the northwest side of Houston. 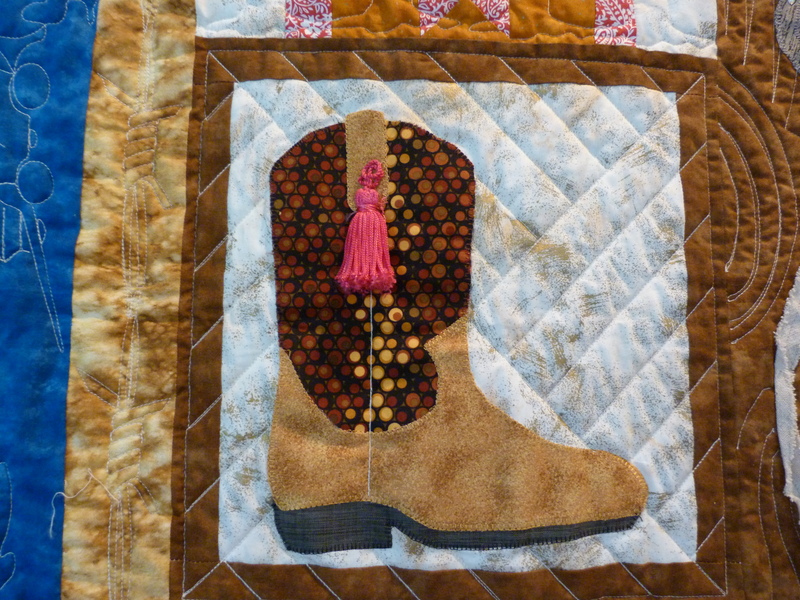 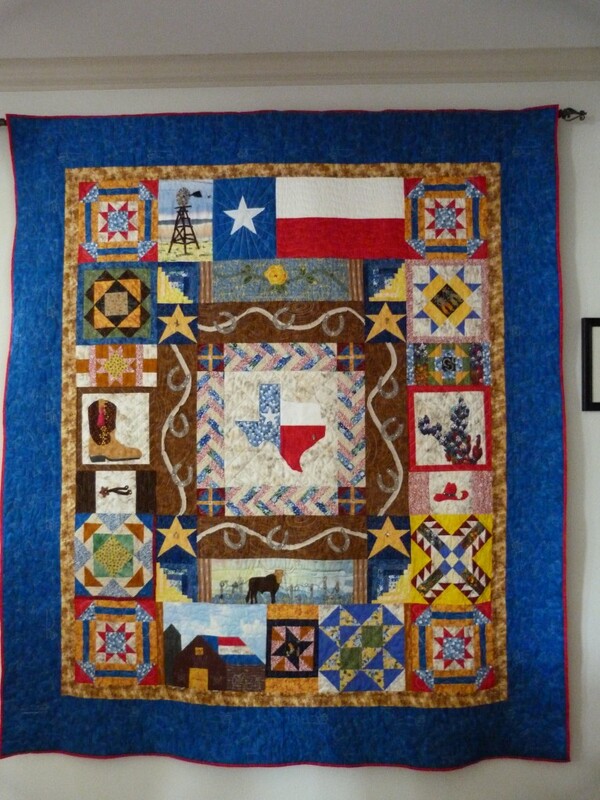 This quilt, Deep in the Heart of Texas, was hanging in her living room. 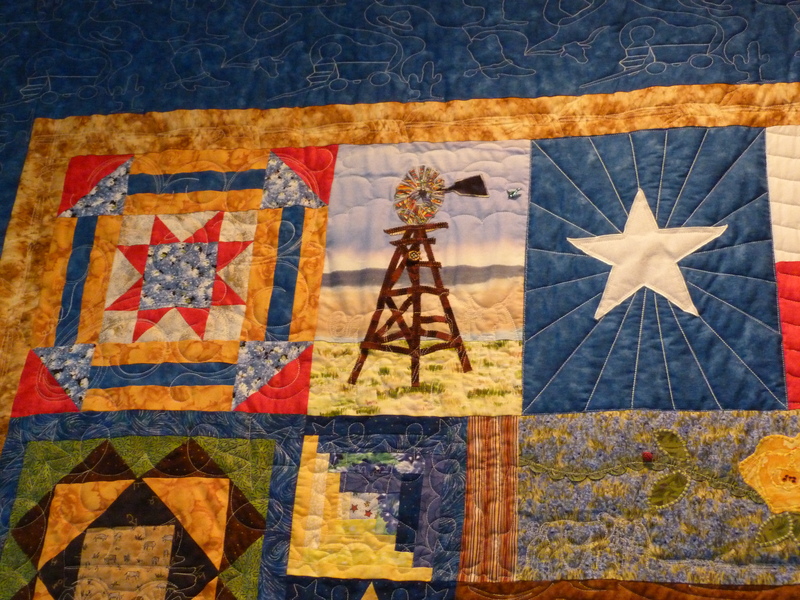 Blue is my favorite color, so I was immediately drawn to the quilt and then enjoyed looking at all the details invoking Texas in the blocks. Carrol Stewart, a long-arm quilter and teacher in the Cypress area, altered a pattern by Glenda Stephens called Nowhere But Texas. 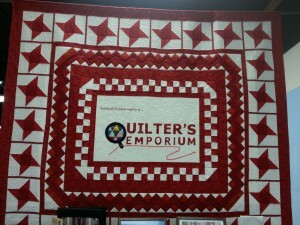 Deborah pieced and assembled the quilt and Carrol quilted it. 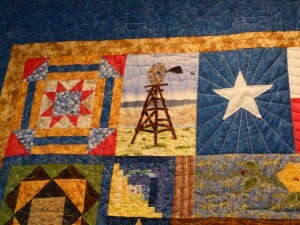 Of course there are plenty of cowboy accessories, long-horn cattle, a windmill, stars, the lovely Texas bluebonnet and the central map. 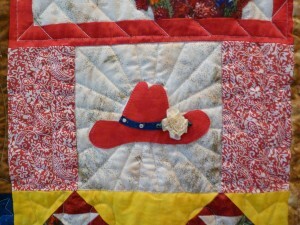 Here some shots to help you catch the wonderful details that include embroidery and embellishments. I always enjoy visiting different quilt stores when I travel to teach and my host quilters are eager to share their local pads. While I’m not up for buying large quantities of fabric, there are some things I like and try to find. 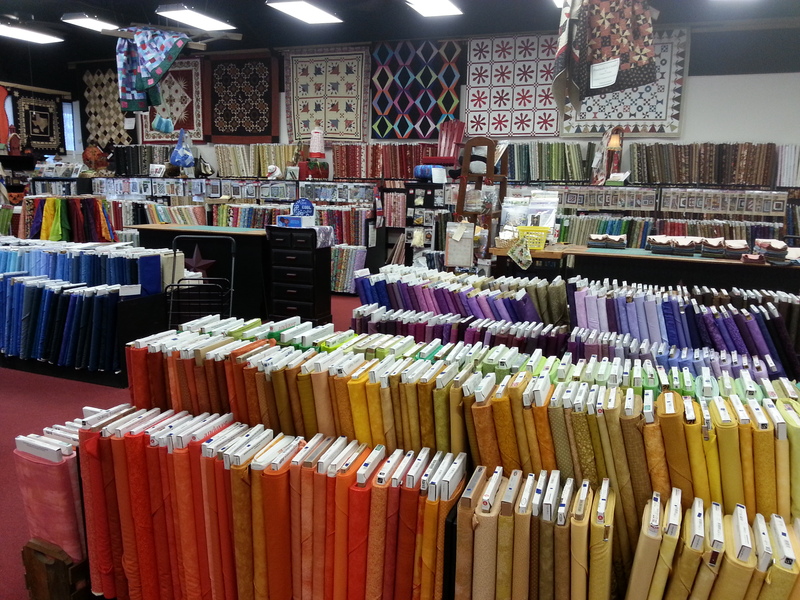 It’s not just the fabric. Stores usually have beautiful and inspiring quilt tops displayed and each store has its own character. 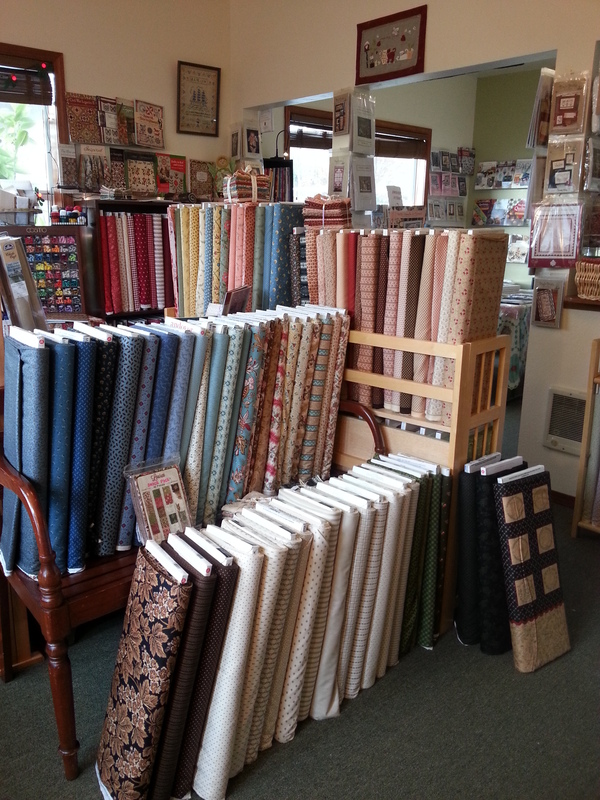 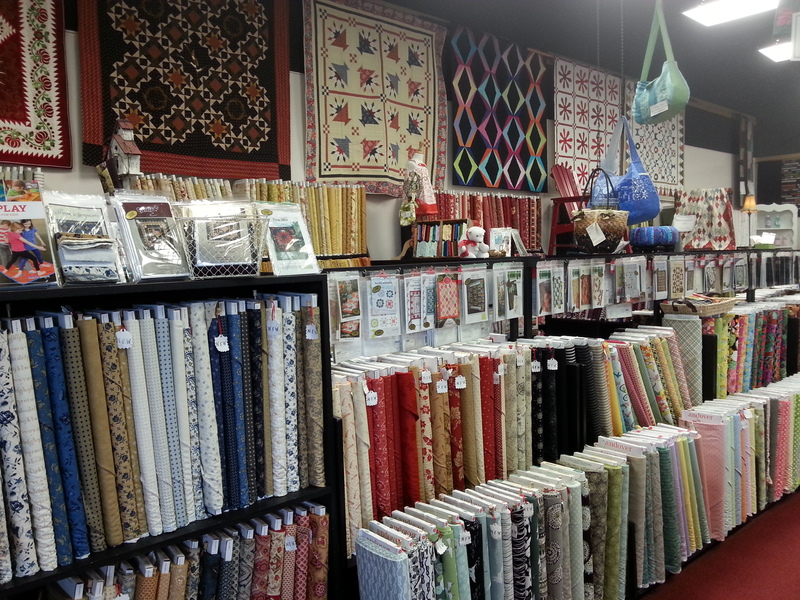 On my recent trip to the Houston area, I was taken to the Quilter’s Emporium in Stafford which is a popular store with a large inventory and is often featured on quilt shop tours prior to International Quilt Festival. 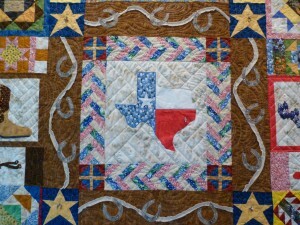 Here’s their map of Texas quilt and whole selection of Texas bluebonnet and wildflower fabrics. 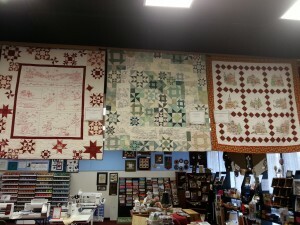 Here are some more views of the store. 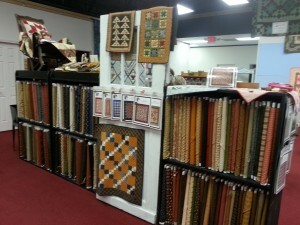 There were several sections of fabric including Civil War prints, monochromatic prints, batiks and more. I liked the house quilt top, Suburbs, which was a workshop sample using 10 fat quarters. 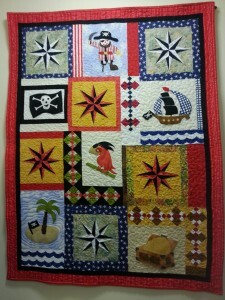 It is a PB & J project by Cluck Cluck Sew.